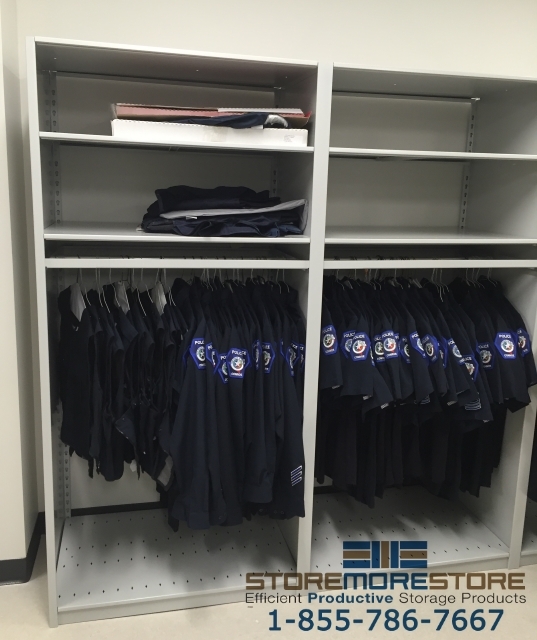 Many organizations have difficulty with storing uniforms while they’re not in use, especially with a limited amount of space. 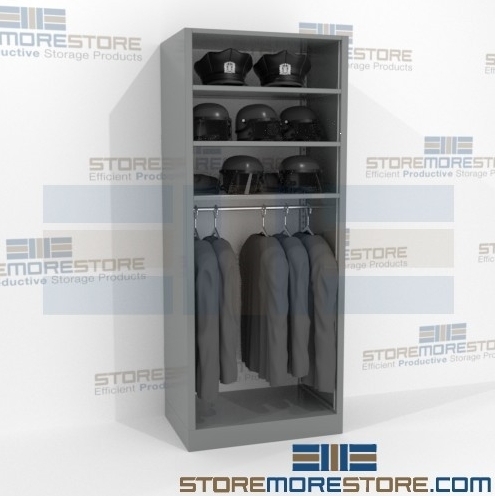 Steel rod shelving with overhead storage instead allows you to combine hanging uniform storage with space for additional items such as headgear, instruments or other folded garments. Wire racks are frequently used for hanging garment storage, but wire can easily snag on fabric and cause damage. Keeping them folded is also inefficient and prone to wrinkling or damaging clothing. It also wastes valuable time to constantly fold clothes in a manner that keeps them wrinkle-free. And when they need to be retrieved, it’s difficult for users to find the uniform they need if they’re piled on top of each other. With smooth steel construction, the steel rod shelving offer commercial-quality hanging garment storage with unmatched strength and durability. The overhead compartment also provides convenient storage for additional items. This makes them perfect for storing items that need to remain within easy and quick access such as helmets, hats, instruments, costume accessories, athletic gear, and more. Steel rod shelving with overhead storage is available to buy online for your hanging uniform needs. For more information or if you need assistance, call us toll free at 1-855-786-766.